What is a supernatural mystery anyway? Well, a mystery. That’s in the title. Muddy River is the town on the Ohio River that the supernaturals settled. They found a nice, hilly, secluded area in southwest Indiana, far from mortals, to call home. Yup, witches, vampires, shapeshifters, and demons, among others. Most friends know that I used to write urban fantasy. And now I’m writing mysteries. So I decided to combine the two. Sort of like the Babet and Prosper novellas that I used to write. Prosper was a bearshifter and his partner on the force, Hatchet, was a Druid. I like writing about Druids. Of course, I jazz them up a bit. My Druids can call on lightning to strike and their tattoos are alive and writhe when they’re angry. It’s Prosper and Hatchet’s job to solve crimes committed by supernaturals who break the rules. Prosper teams with Babet, a witch, to solve a murder. In Muddy River, Raven Black–a fire demon–teams with Hester Wand– a witch–to solve the deaths of thirteen young witches who were just starting their own coven. Of course–no suprise here–while they work together, they fall for each other. “Oh, a paranormal romance!” someone says. This is when my friends usually scratch their heads. But fellow writers–they’ll understand. The main plot line is what distinguishes one kind of story from another. And this story is …a mystery with a romance subplot in a world peopled by Fae, Druids, witches, vampires, shifters, and one banshee. And it was really fun to write! As fun as Babet and Prosper. All writers know that it’s dangerous to switch genres. People who read cozy mysteries might not want anything to do with a fire demon for an enforcer. Well, I didn’t know how well The Body in the Attic would sell when I started my second series, did I? It came as a wonderful, happy surprise. But I’m not sure it would have made a lot of difference. I tend to lose interest if I read one author, one genre, over and over again, back to back. Sorry to say, but that holds true of my writing, too. I really do love the cozy mysteries I write, but I need to change it up once in a while, or else my writing goes flat. I have no idea if I can find success with Muddy River, but I’d written three cozies, and I needed a witch or two to break things up. And it worked. I’m ready to dig into serious rewrites for Jazzi and Ansel’s fourth book now. Whatever you’re writing, whatever your writing habits, have a great week of it! Ciao! Staci here again. I’m wrapping up my WIP and about to start another. That — plus the fact that more than one person has asked me about this lately — made me think it might be the perfect time to discuss the synopsis. Why is this the perfect time? (I mean, other than people asking.) Well, a synopsis is a useful tool in planning a new story, so I could write one for book two. And, now that book one is done, I might want to revise an existing synopsis to give to the publisher (for accurate blurb writing and marketing materials). 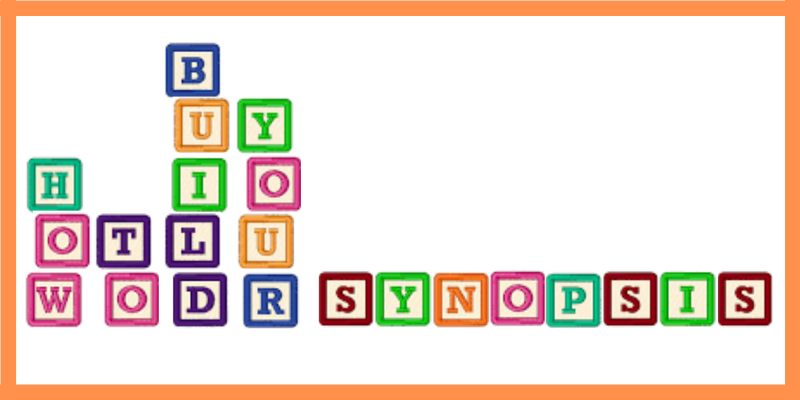 A synopsis is a brief retelling of the narrative arc of your novel, including the ending. In my head, it would be a piece of cake to write two different kinds of books as Judi Lynn. One in first person POV. The other in third. I even considered writing on the cozy mysteries Monday, Tuesday, and Wednesday, and then switching to the supernatural on Thursdays and Fridays. If I’m good–with not a lot of distractions–I can almost always write a chapter a day. And then, when I got a little bit ahead, I’d concentrate on the supernatural since it’s only going to be about 56,000 words. And when I finished that, I’d concentrate on the Jazzi books that have to be a little over 70,000. And then, I’d take turns. It sounded simple. It hasn’t been, but I need to switch things up once in a while. If I write too many of the same type of thing back to back, I get stale. So why not write a cozy and then write mysteries peopled by witches and fire demons? Only it’s turned out to be a bit trickier than I anticipated. All sorts of things look good on paper. This was one of them. But I can’t be so neat and tidy about what I write. I forgot to add in writing promotion materials–character interviews, Q & As, etc. for blog tours. I forgot about days when everyone calls and wants to touch base on the same day, so that I spend more time on the phone than on the computer. Days when I spend more time on marketing or when the desire for a special treat tugs me into the kitchen to whip up something. And I forgot that every once in a while, my dear loving husband thinks we should have a day during the week when we should actually leave the house and do something fun. Schedules are flexible. I have lots of things that matter to me, and writing’s only one of them. Even when it comes to writing, I forgot that it’s not so easy to jump from writing first person to third person without getting them mixed up. And boy, does that stand out when I go back to do rewrites. I have to accept that writing isn’t ever as organized as I’d like it to be. But then, what is? I’m still going to write two books. I’m just not sure how I’m going to do that. But I’ll figure it out along the way. And while I’m at it, wishing you happy writing, too! Have a great March. My fellow writer and friend, Karen Lenfestey, just put up her latest book, BITTERSWEET HOPE. It’s the final book in her Bittersweet trilogy, and for this week, she’s offering the first book, 5 O’CLOCK SHADOW for free on Amazon, and BITTERSWEET HOPE is only 99 cents. So, if you’re so inclined, you could buy the entire trilogy for only $3.98. I have to say that BITTERSWEET HOPE is my favorite book she’s written so far. I got to beta read it. I’ve read all of her books, but I flew through this one. The two sisters, Claire and Hope, finally find the happy-ever-afters they SO deserve. Of course, being women’s fiction and a Karen Lenfestey novel, they have to jump through more than their fair share of hoops to get there. And this time, one of those hurdles is a disturbed young stalker. The scenes inside this girl’s mind paint a fascinating journey that spirals out of control. The rationalization for her acts builds more and more tension until the final scene. And the ending was perfect (in my opinion). Anyway, if you like women’s fiction, you might want to check out her book or the entire series. Kyra Jacobs’ new book comes out March 11th. Kyra’s a local author and I consider her a great friend. If you like sweet romances, she delivers. Happy Sunday, everyone! Wow, it’s been a hot minute since I’ve posted, having spent the majority of my non-writing author time over on social media. It’s hard, in this day and age, to know where exactly I’ll have my greatest “reach”. Since the forecast is calling for cold, cold, and more cold this week, I’m scrapping the street corner idea before it gets one iota of traction. LOL However, I thought in the week before release of my ninth novel (9!? Can you believe it?!) that we’d have a bit of fun on the old bloggy-blog. A few of our members share their work with us, listen to every critique we give, and work hard to create something worth publishing. And then they choose to self-publish on Amazon to share their works with friends and family, and that’s enough. They don’t want to market. They shy away from promotions and feel awkward “bragging” about themselves. Then there are members who put their work on Amazon and sit back to watch it sell. I used to tell my writing friends, “No one comes to knock on your door to ask if you have a manuscript to sell.” If people don’t know it’s there, they can’t find it. Now I tell them that you have to invest a decent amount of work to stand out from the millions of other writers hawking their books. And that’s where the rest of us in our group fall. We’ve put our books out there, finding agents or publishers or small publishers or self-publishing. But we know that’s only a step. And we also know that the road to marketing and promoting is slippery and devious. What worked five years ago might not work now. When I first put my urban fantasy online, authors had a chance of getting their books on BookBub. BookBub advertises discounted books to millions of readers who sign up for specific genres. These days, though, getting an ad on BookBub is like winning the lottery. Without my publisher, I wouldn’t have had much of a chance. Plus, it’s expensive. For my niche–cozy mysteries–Bookbub now e-mails news of a discount to 2,780,000 readers. If I make my book free, I have to pay $707 for it being listed ONE day. If I only discount it, I pay more. It’s so hard to get on BookBub that other book advertisers have gone into business, but when I’ve used them, I’ve had mixed results. I had some success with Facebook ads for a while, but it’s no guarantee more people will find my book. A friend’s having success with Amazon ads, but I haven’t tried those. Other than advertising, there are other options for authors to help readers find their work. I’ve done blog tours, sometimes with success, sometimes not so much. For some books, doing #1linewed on twitter has helped my rankings go up. I’ve had some luck using Debbie Macomber’s Book Launch Checklist: https://insights.bookbub.com/book-launch-checklist-marketing-timeline-traditionally-published-authors/?utm_source=guest-debbie-macomber&utm_medium=email . She recommends changing your twitter header once a month to get readers interested in a new book. She changes her Facebook header, too. I’ve been doing that, and I do think it helps. Some writers use their blogs or webpages to connect with readers, and many ask readers to sign up to receive an e-mail newsletter. I’m finally getting more followers on BookBub when I write reviews for the books I’ve read. Whatever an author chooses, it’s an investment in time to try to connect with his/her readers. I think it’s sort of fun. But I always have to remember ads and promotions won’t do any good if I don’t write books, so writing time has to be sacred. So for all of you, Hit Those Keys and Happy Writing!